Hyde Nightclub brings Las Vegas the distinctive fashionable flare of Los Angeles nightlife as it is the first strip property by California’s, SBE Group, which is known for their unique presentation of go go dancers and over the top special events. Boasting a seamless indoor/outdoor space and floor-to-ceiling windows, Hyde Bellagio features an expansive terrace that showcases Las Vegas’ most celebrated landmark, the Fountains of Bellagio. Elevating the décor, Hyde Bellagio introduces an exclusive early-evening experience beginning at 5 p.m. highlighted by an award-winning mixology program and a menu of intriguing small plates from Circo. Long after the sun sets, Hyde Bellagio evolves into one of the hottest Vegas destinations, with 40 VIP tables, a diverse rotation of DJs and live performances. Hyde opens early – 5 PM with a mixology program and dinner options. If you come early you can stay for the nightclub. 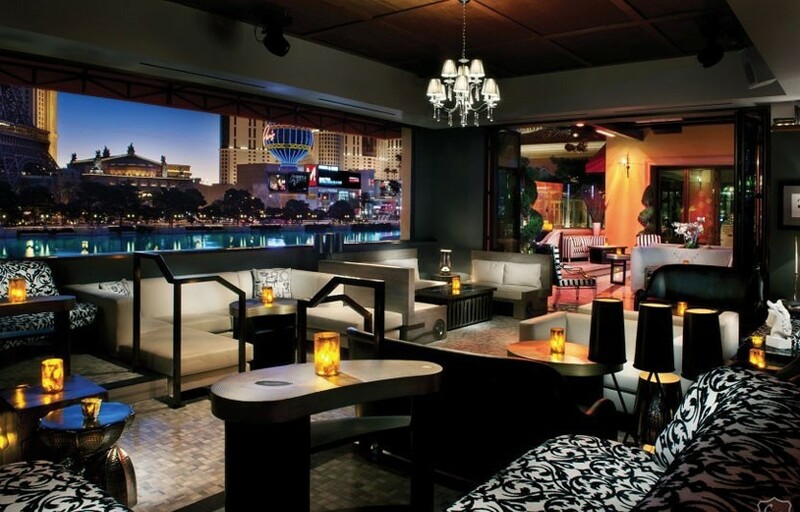 Hyde has one of the best views in Vegas, with a terrace open overlooking the Bellagio fountains. 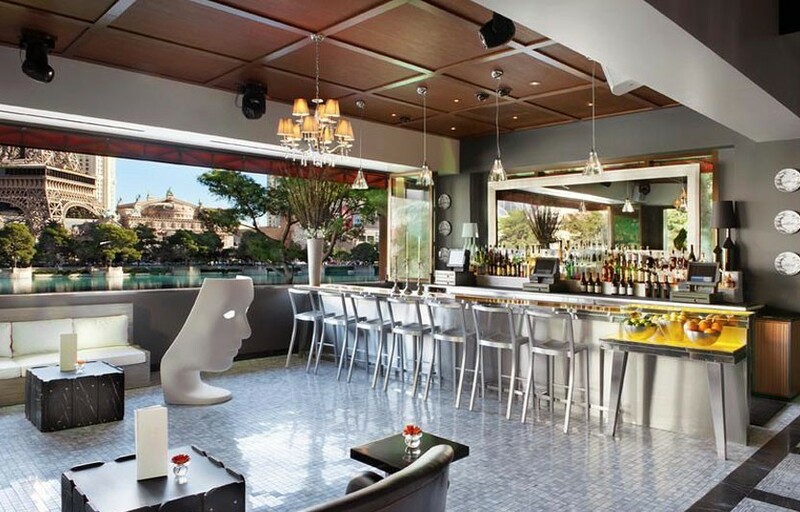 Hyde occasionally hosts the legendary XIV sessions party on Sundays – if you can make one we would highly recommend it. Hyde is located on the northern wall of Bellagio, just to the left of the main casino cashier. How much is cover charge at Hyde? How long will I have to wait at Hyde? Average wait times can be anywhere from 20 minutes to 1 hour, depending on the night. Hyde is open from 5 PM – 4 AM on Tuesdays, Wednesdays, Fridays and Saturdays, 5 PM – 12 AM other days. What are the best nights to go to Hyde? Hyde Nightclub is open Tuesday, Friday and Saturday. Tuesdays are industry night. On occasion, Hyde hosts XIV sessions on Sundays. What is the dress code at Hyde? How much do drinks cost at Hyde? Mixed drinks start at $15, beers $8, shots $8, and bottles begin at $425. 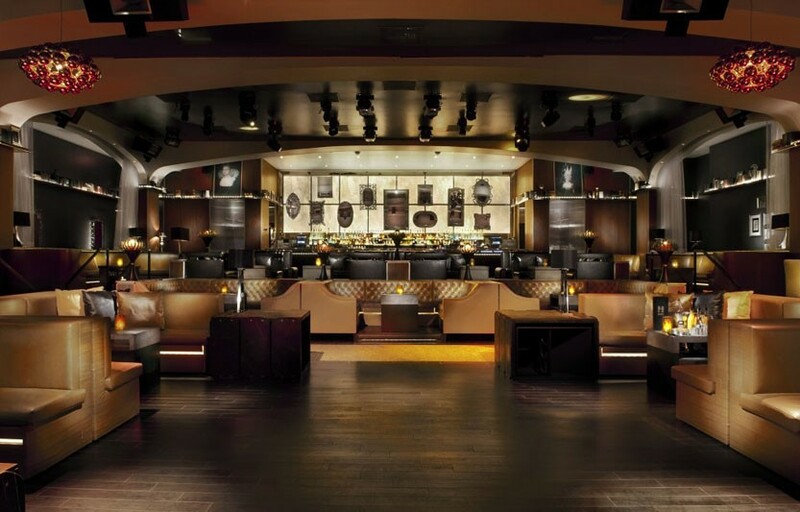 You’ll find local resident DJs spinning at Hyde, with the occasional live performance. What kind of music do they play at Hyde? Varies by night, usually a mix of top 40/ EDM / hip hop. Where can I find an list of upcoming events / DJs at Hyde? You can download the Discotech app to see upcoming events, get on guestlists, book tables, and buy tickets for Hyde. You can also visit Hyde’s website for a current list of events. In which hotel is Hyde located? Hyde is located in the Bellagio Hotel. Looking for VIP offers and comps? Check out URComp.com to find a Casino Host at Bellagio.